How to create Firebase Cloud Messaging Client App on Android to send push notifications to all installed application users. Firebase cloud messaging is an awesome features for every android developer who wish to send thousands of push notifications with one click to each and every user who has installed their application. 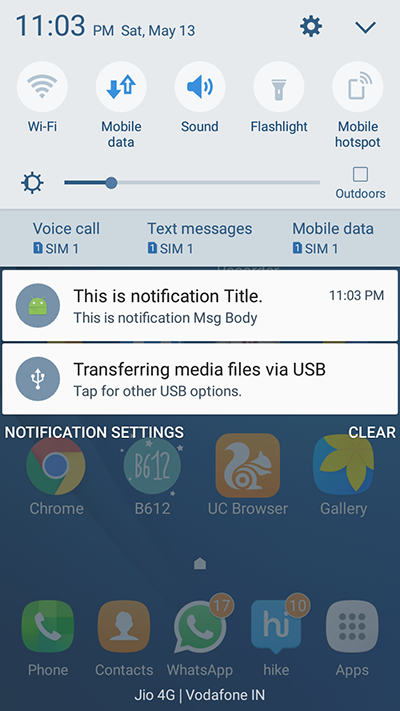 You can also control the complete push notification it self by setting up push notification title, push notification message body. We can also schedule our push notification timing from the Firebase panel. So here is the complete step by step tutorial for Android Firebase Cloud Messaging Tutorial Example. Watch the live application demo. Create a fresh android application project. Create, configure and connect Firebase to your Application. After finish coding send push notification from Firebase Panel. 1. Watch the live application demo to know how this app works and how can we send push notification from Firebase panel. 2. Create a fresh android application project. 15. Add compile ‘com.firebase:firebase-client-android:2.4.0’ and compile ‘com.google.firebase:firebase-messaging:9.2.1’ inside dependencies block . 5. 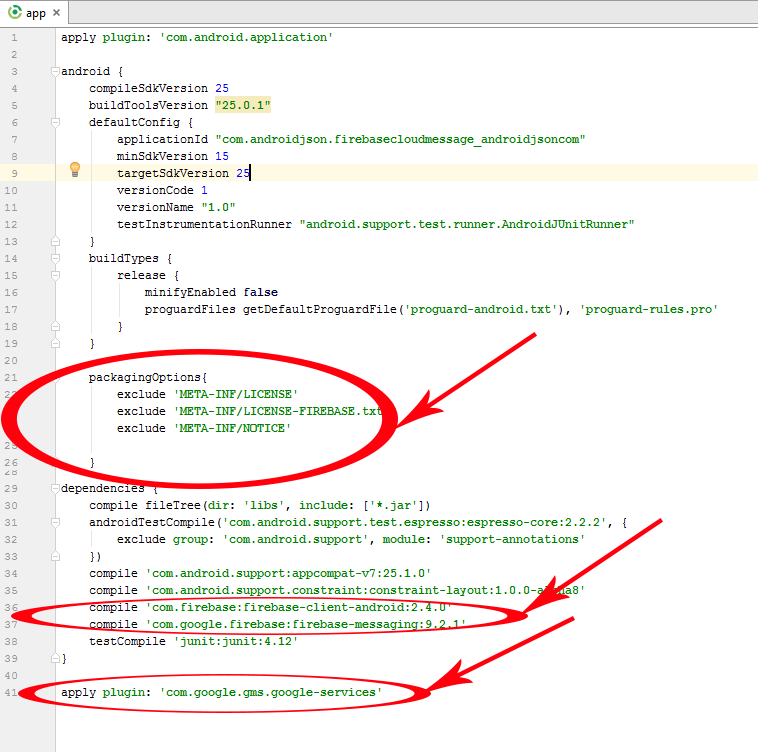 Add service into AndroidManifest.xml file. * Created by AndroidJSon.com on 5/13/2017. // Write down your code here to do anything with toke like sending on server or save locally. // Function to Generate Push Notification After Receiving Response from Server. // Adding FLAG_ACTIVITY_CLEAR_TOP to intent. // Creating Pending Intent object. // Creating URI to access the default Notification Ringtone. // Converting drawable icon to bitmap for default notification ICON. // Adding Default Icon to Notification bar. // Setting the default msg coming from server into Notification. Click on SEND YOUR FIRST MESSAGE . Enter Message body and title, Hit the Send Message button.